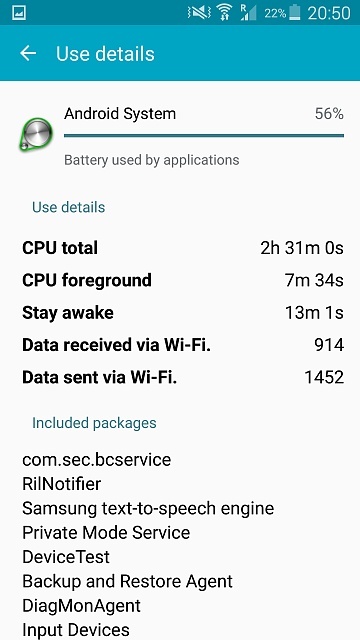 Android system killing my battery. Hey there! 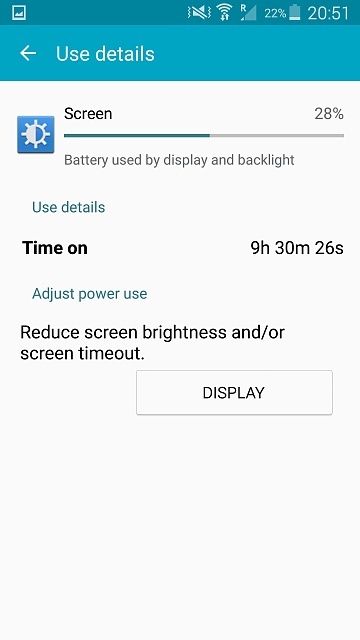 Yesterday I saw that my phone has lost some battery fast. 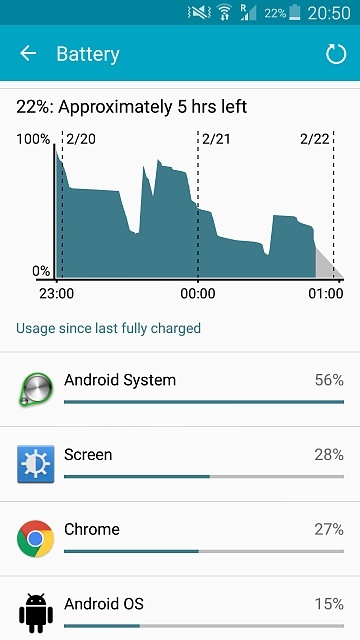 I looked into battery and saw that "Android System" was at 45%.. That's a lot for me.. I've had these problems before. Before I've had media server battery problems and Android os battery problems. I've found a fix for them on the net though, but, not for Android system.. So.. Any help? If you need any info I can give you everything I can. I can show screenshots later if needed. Same issue here... Following. I reformatted my SD card and wiped cache partition and that worked for a day but back to square one now. Very annoying. Have you tried a battery pull? Or running in safe mode to see if its a app causing the trouble. Tried both, didn't see any apps that interrupted the battery. Battery pull didn't do anything. could be due to Samsung link platform and Samsung link platform connect. Some screenshots. Also, I've already disabled the Samsung link things, it worked for a while, but the battery hog unfortunately came back. ok unmount your SD card and then remove it see if it will runs better for a little while remember to unmount first or just power your phone completely off and take it out. I'll look deeper into this & see if I can help out. Oh It could be WiFi lte constantly switching on/off searching. are you on the Verizon S5 by any chance? Maybe try enabling developer options and then going into background processes and limiting it to two running at the most. Still no.. Maybe a factory reset should do the trick? Have you tried keeping your phone on Power Saving Mode? "Imma Google Girl in a Google World!" What do I use to to root my phone? How do I get my slideshow widget back on my LG GE? How do I get my slideshow widget back? Why do my songs jump back when fast forwarded?